A rift between the U.S. and Canada is growing over how to ensure the safety of Boeing Co.’s grounded 737 MAX planes, as Ottawa’s focus on additional pilot training could lead to a delay in getting the jet back in the air. Canada’s transport minister has signaled that his government could require additional simulator training for pilots of the 737 MAX. That threatens to widen the gap between plans being developed by U.S. authorities to put the planes into service and those of other countries, according to industry officials and others participating in or tracking the process. The U.S. Federal Aviation Administration has tentatively decided against mandating additional simulator instruction as part of a package that is anticipated within weeks and includes a software fix for a flight-control system implicated in two fatal 737 MAX crashes in less than five months. Industry officials said that could change based on input from foreign regulators, as well as responses from domestic pilot unions and other groups during a public comment period ending April 30. Aviation regulators in Canada, Europe, China and Brazil previously indicated they would conduct their own safety reviews of the software fix to the automated flight-control system—known as MCAS—instead of accepting the FAA’s analysis and decision to require only interactive and self-instructional training on laptops or other electronic devices. However, Mr. Garneau’s remarks are the first explicit break with the U.S. by a foreign regulator and could mean months of additional delays in other countries while extra simulator time is reserved and new training scenarios are developed. A spokeswoman for Mr. Garneau said no formal decision has been made about requiring simulator training. She said Mr. Garneau would wait to see what Boeing says and speak with experts before making a final decision. An FAA spokesman didn’t have any comment. Previously, agency officials have said they welcome recommendations from foreign regulators but stressed that the U.S. will act independently based on its review of data and safety considerations. European regulators previously signaled it could take months for them to assess the FAA’s software fix and training requirements, according to industry and government officials on both sides of the Atlantic Ocean. The situation marks a sharp departure from tradition—stretching back many decades—when major safety decisions from the FAA affecting American-built aircraft tended to be routinely embraced by foreign counterparts. Trust and cooperation have frayed following the 737 MAX groundings, which have roiled the global aerospace industry. The FAA has set up a high-level international advisory panel, which includes Canadian representatives, to analyze the software fix and related training issues. FAA officials hope such strategies will help shore up international support among regulators and passengers. Brazilian and European regulators previously raised questions about certain MAX flight-control features during the initial FAA certification of the plane. Canada has required additional training for domestic airlines in the past. 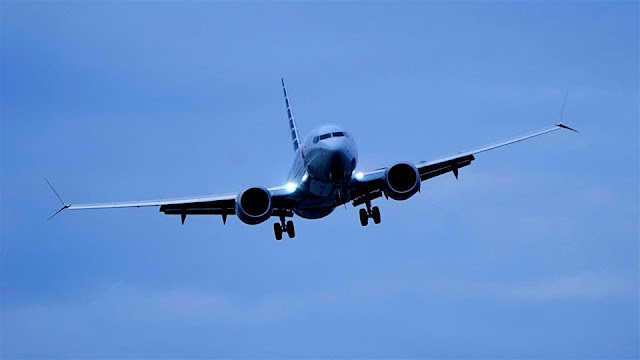 After a Lion Air jet crashed off the coast of Indonesia last year, pilots with Canadian airlines that operate the Boeing 737 MAX 8 and 9 aircraft received training that Mr. Garneau has said went beyond what was mandated in the U.S. The FAA’s preliminary training decision also has been shelved by one large U.S. carrier, American Airlines Group Inc. which is devising its own additional simulator sessions focusing on maneuvers similar to those that resulted from the misfiring of the suspect flight-control feature. Ground simulators specifically designed to mimic the 737 MAX won’t become widely available until autumn or later. Chicago-based Boeing has been devising a software fix for the jet’s flight-control system that is expected to rely on two sensors that measure the angle of the plane’s nose—instead of one currently—and be less aggressive and more easily controllable by pilots. The FAA originally approved the MAX by requiring minimal additional training for pilots who were transitioning from flying earlier 737 models. In developing the new model, Boeing aimed to keep additional training requirements at a minimum so pilots and airlines could avoid expensive simulator time. United Continental Holdings Inc., one of three MAX operators in the U.S., said it had no plans to add simulator training unless federal authorities required it. Chief Operating Officer Greg Hart said Wednesday during an earnings conference call that even without specific training on the MAX’s stall-prevention system, United pilots already receive training on the type of situation pilots faced on both the Lion Air flight and the Ethiopian Airlines flight which crashed last month. Ground looped and gear collapsed. Slid off the runway into the grass, gear collapsed and experienced a prop strike. Autorotated, crashed into tree and inverted. Crashed in a field due to unknown circumstances. 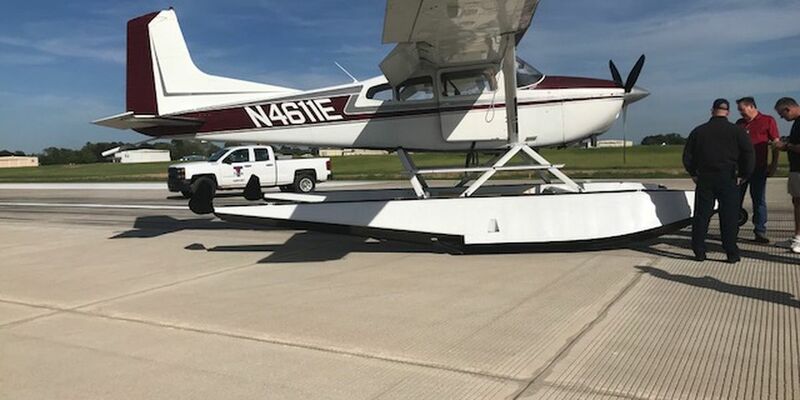 NEW DETAILS: Pilot has been identified as Carl Comeaux from Carencro, Louisiana who was flying with an aviation service out of St. Landry Parish. He was extricated from the plane before it caught on fire. He was trying to land to load up chemicals so he could work for the day but in his approach, the plane rose suddenly in elevation and then went straight down into the ground. The Federal Aviation Administration will be investigating to figure out if it was a mechanical or pilot error. 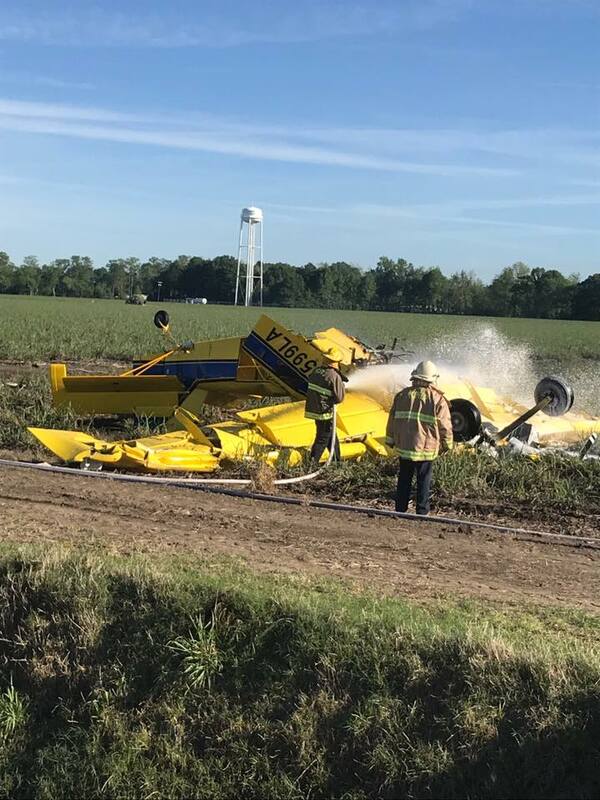 POINTE COUPEE PARISH, Louisiana (WAFB) - One person was taken to the hospital Tuesday after a crash involving a crop duster in the Morganza area. A spokesperson for the Pointe Coupee Parish Sheriff’s Office says they responded to the scene, which was off Highway 10, at around 8 a.m. Tuesday, April 16. Officials say the pilot was transported by helicopter to a hospital for treatment in stable condition. His identity has not been released. Made autorotation landing in a field, rotor blades struck the tailboom. FORT MCDOWELL, Arizona — There are many questions surrounding the safety of the helicopter that crashed in a field near Fountain Hills on Monday morning, killing two people on board. 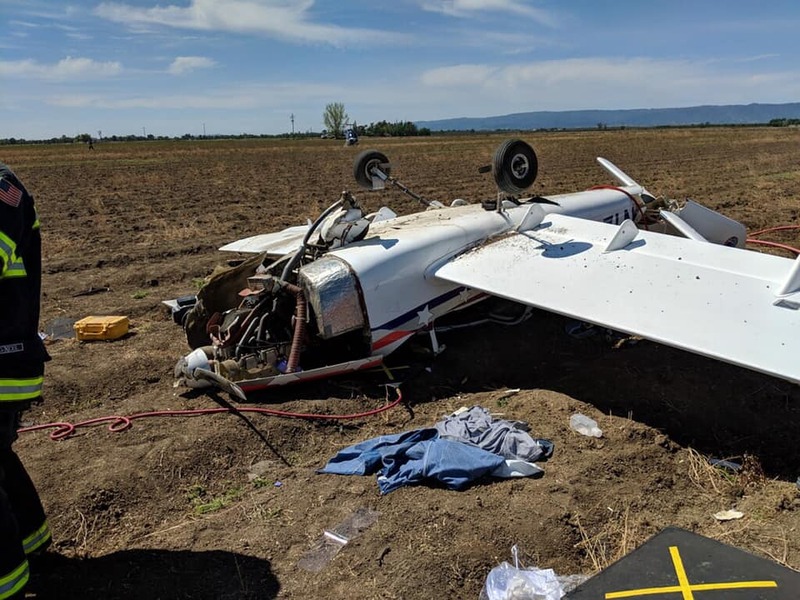 The victims have been identified as contract experimental test pilot Rucie Moore and Van Horn Aviation engineering manager Stephen Estes. 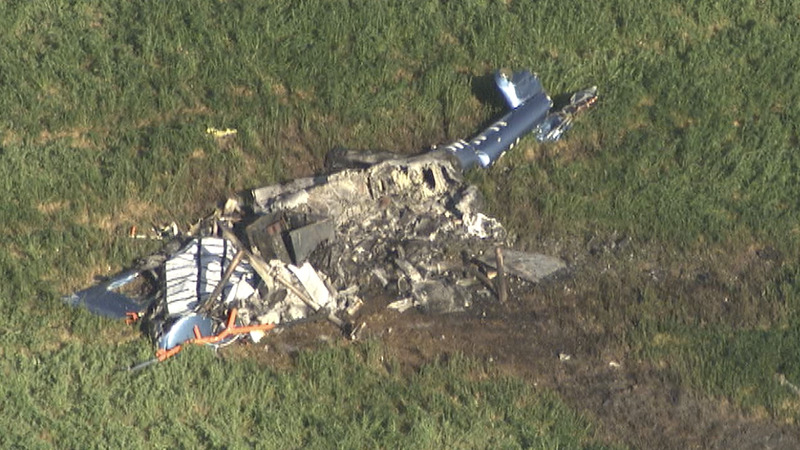 Officials with the Federal Aviation Administration and National Transportation Safety board have confirmed investigators are now looking into the "airworthiness" of the helicopter that crashed. Court documents show the chopper had a history of trouble. According to a complaint filed by the Federal Aviation Administration against the Tre Aviation Corporation to whom the aircraft was registered, the helicopter was purchased by an aviation mechanic in Scottsdale in 2004. Documents state the helicopter was in bad shape. It had no engine and the fuselage was corroded beyond repair. The mechanic used parts from another helicopter he had purchased to rebuild the chopper. Many of the parts used in the repair came from a helicopter with no data plate or deemed ineligible for operation. Aviation experts say like cars, it is not uncommon for aircraft like planes and helicopters to be "parted out" to rebuild or help reconstruct other aircraft. The company that Estes worked for "specializes in the design, testing, certification, and manufacturing of composite rotor blades for various helicopters" according to their website. An NTSB spokesman says investigators are still in the early stages of the investigation, but structural problems and faulty parts are two major areas they will be exploring as they try to piece together the wreckage, and figure out what caused the helicopter to crash. FOUNTAIN HILLS, Arizona (3TV/CBS5) -- A Tempe-based aviation company is mourning the loss of two men who were killed in a helicopter crash near Fountain Hills on Tuesday morning. 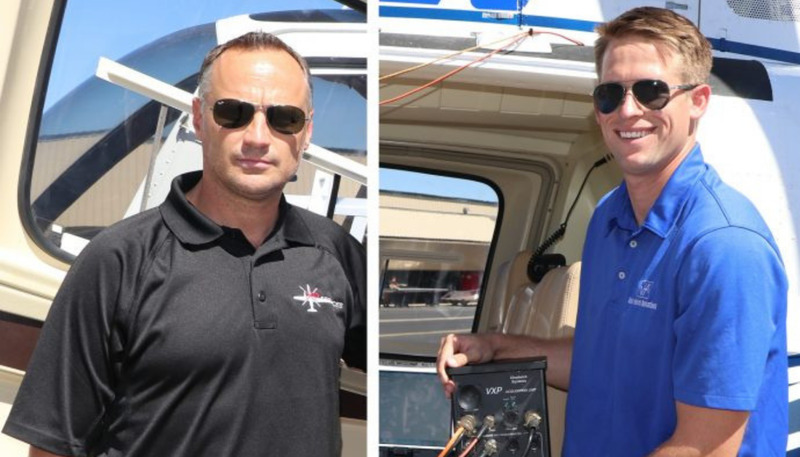 Van Horn Aviation said experimental test pilot Rucie Moore and VHA engineering manager Stephen Estes were the only two on board the helicopter when it went down after 7 a.m. near Fort McDowell and Yavapai roads. Estes graduated from Arizona State University with a master's in aerospace engineering and had been an engineer with VHA for five years. Before that, he was "instrumental in the design and analysis of current rotor blades," VHA said. Allen now lives in Alaska, but he and Moore go way back to their Army days. The two became so close during that time, that Moore was a groomsman in Allen’s wedding. “That’s a tough one…yeah….just gonna miss ya,” he said through tears. But among the tragedy, Allen has found peace knowing his friend's last moments were spent in the sky. The Federal Aviation Administration (FAA) told Arizona's Family that a Bell 206B crashed under "unknown circumstances." 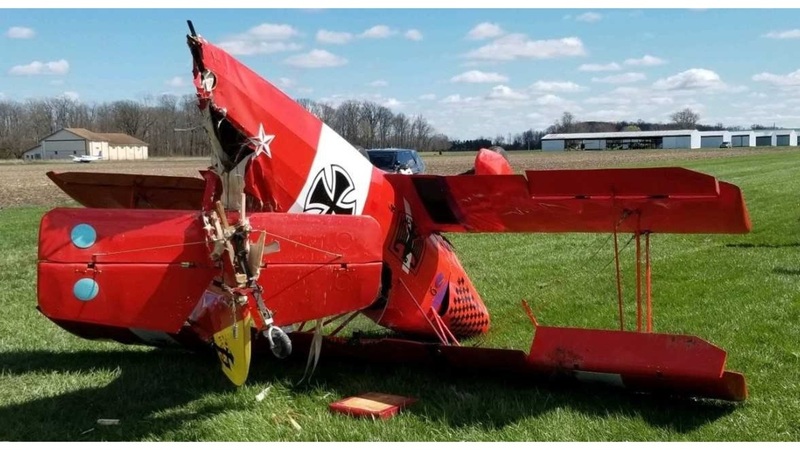 LEBANON, Indiana (WISH) -- A small plane crashed Monday in Lebanon, leaving the pilot with injuries not believed to be life-threatening. A single-engine plane landing on a grass strip at the Boone County Airport, 1600 E 250 S, crashed around 4 p.m., Sgt. Ben Phelps with Lebanon Police Department confirmed. After the wheels of the Kaminskas Jungster I experimental homebuilt aircraft touched down, the aircraft flipped over and landed upside down. The pilot, 55-year-old James Petko, of Mishawaka, was the sole occupant, and was able to get himself out of the plane before authorities arrived. He was taken to an Indianapolis hospital with minor injuries, according to police. Gear up landing, veered off the runway into the grass, struck runway light. Flat tire, veered off the runway and gear collapsed. Envoy Air, flight 3930: Experienced a bird strike. 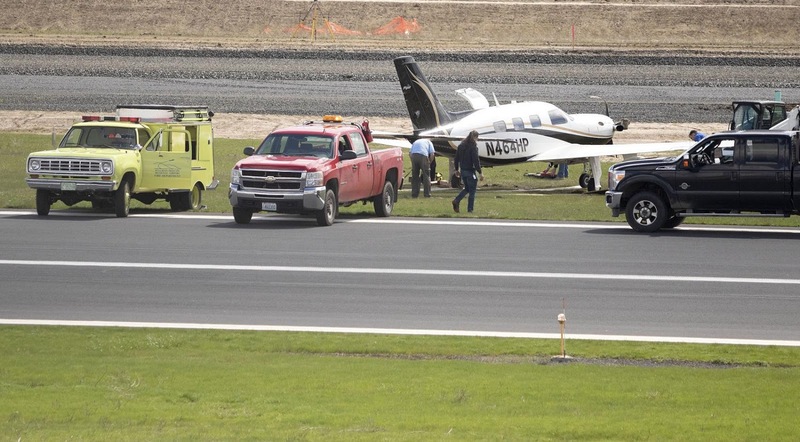 PULLMAN, Washington — The Pullman-Moscow Regional Airport runway was closed Monday morning due to a small plane crash that happened just after 10:00 a.m. 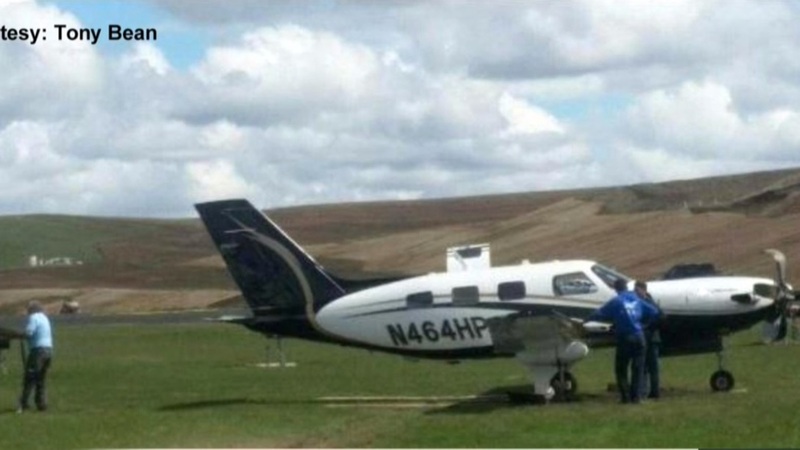 The plane took off and experienced engine troubles, so the pilot immediately turned around. Due to mechanical failure, no landing gear came down, causing the plane to land on its belly on the runway and skid on to the grass safety zone. The pilot and passenger were not injured. An Alaska Airlines flight was cancelled because of the crash. The runway reopened around 1:45 p.m.
A full inspection of the runway has been completed and it doesn’t need repairs. The incident is under investigation by the Federal Aviation Administration and National Transportation Safety Board. 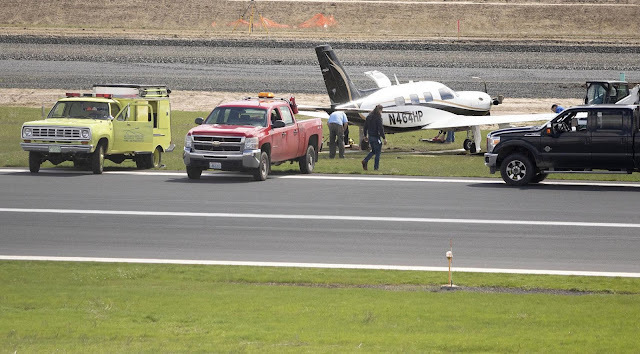 April 12, 2019: Ground looped during off airport landing. January 07, 2018: While taxiing, aircraft encountered a soft spot on beach and nosed over. Left wing of N3375G clipped aircraft.